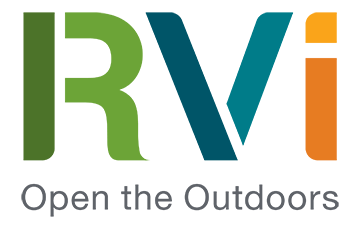 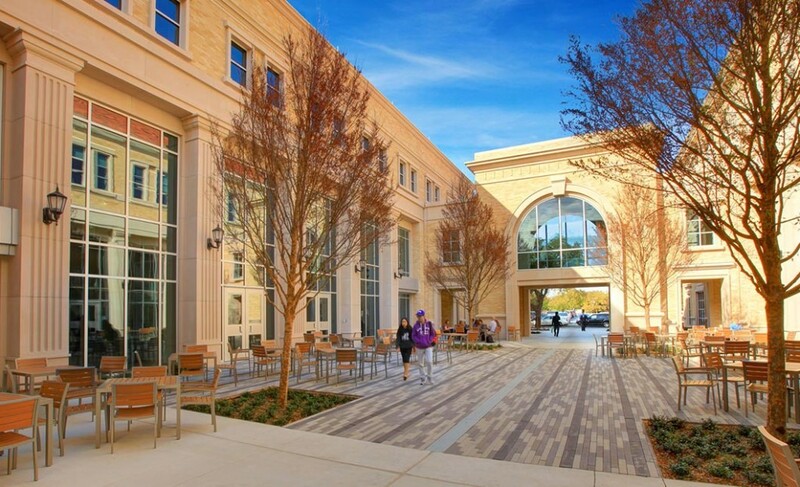 Our firm served as landscape architect for the Campus Commons project, working with four separate architectural firms in the creation of an open space that has become the major student activity center on campus. 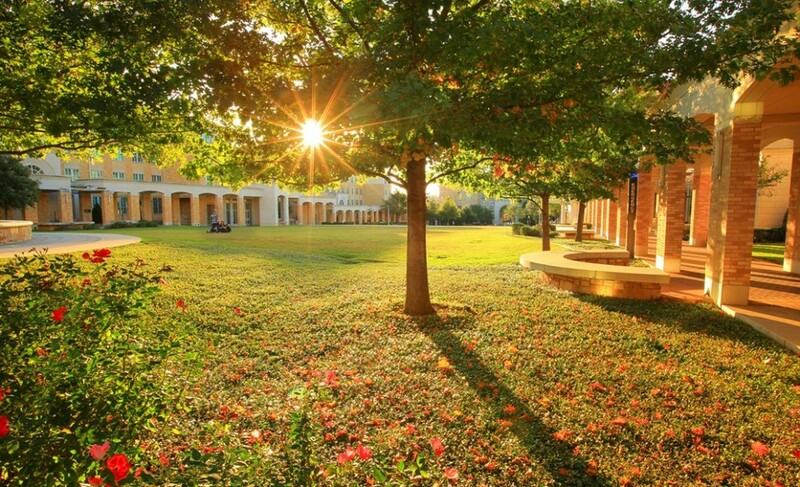 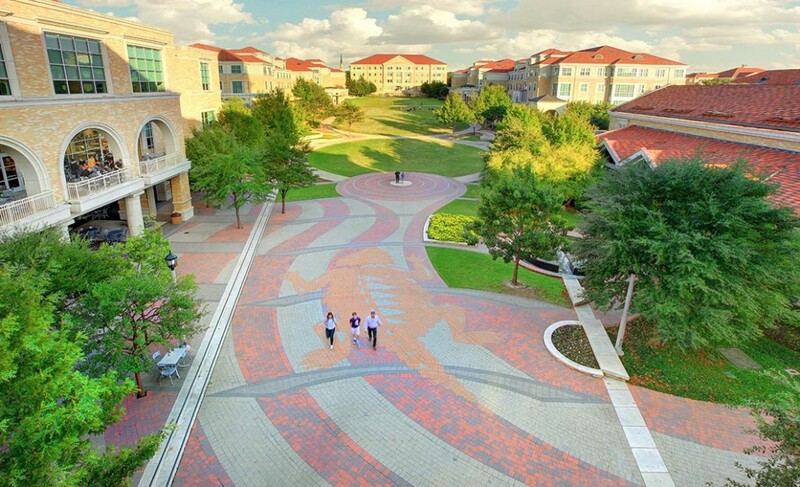 The Commons is defined on its western end by the new Brown–Lupton University Union and Plaza, on the north and south edges by four new, four-story student residence halls, and on the east end by the four-story Scharbauer Hall, which is the new home of TCU’s Addran College of Humanities and Social Sciences. 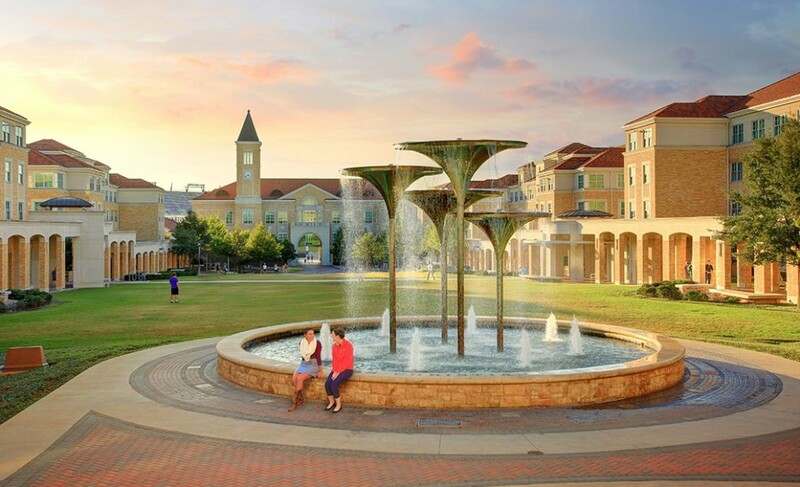 The Campus Commons is designed to support not only everyday life of TCU students but also special events and festivities that are a part of the fabric of the TCU experience.